We have a bluebird nest in our backyard. There are two fledglings, and this is their dad. 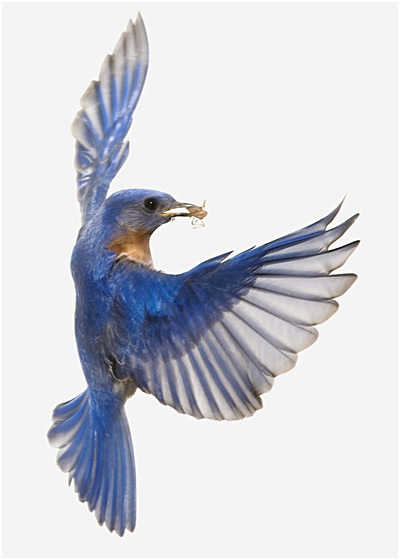 To me, bluebirds have always had a specific connotation (i.e., the "bluebird of happiness," or more lately, "Twitter"). But this guy is a fearless badass. He'll fight off other birds, cats, squirrels—and photographers—if they get too close to his nest. And for two afternoons this week, this particular bluebird led me down a photographic rabbit hole.